My to-read list is massive and I’m sure yours is too. Since deciding what to read next can be hard, here are my three recommendations for what to read this spring. 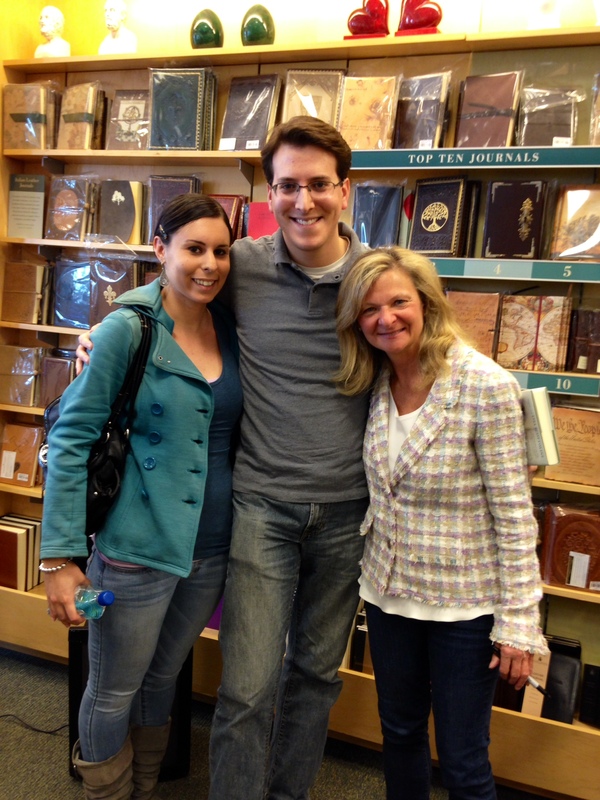 My girlfriend, Stephanie, and I meeting Lisa Scottoline at her book signing for Keep Quiet on April 19. This past Saturday my girlfriend, Stephanie, and I attended Lisa Scottoline’s book signing for her new novel, Keep Quiet, at the Barnes & Noble in Cherry Hill, NJ. Lisa’s mother just passed away last week, so I wasn’t sure if she was going to have the book signing. But after cancelling a few dates on her book tour, Lisa persevered and decided to do her last two book signings. I wasn’t sure what to expect, but Lisa, using her infectious humor, found a way to leave everyone smiling by the end of the event. Yes, she spoke about “Mother Mary” passing away, but she also made sure to inject several funny stories about her mother that had the crowd in stitches. And Lisa remembered many fans, including myself, by name and embraced us with hugs and well wishes. For my money, no author is as warm and loving to her fans as Lisa Scottoline. But let’s get to the book. Keep Quiet is next on my to-read list and as you can see from the synopsis below, it sounds like it should be an intriguing and compelling read. 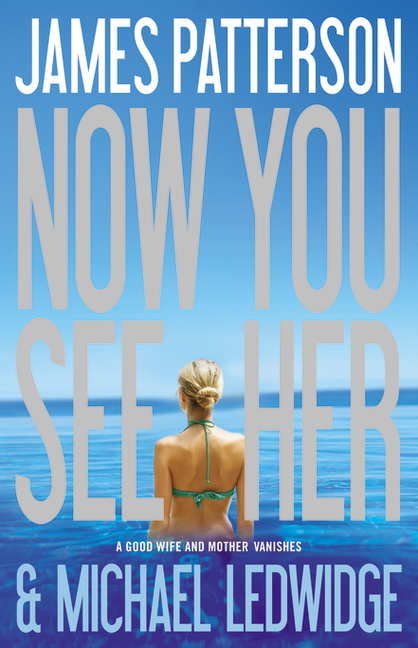 I can’t wait to crack it open and based on the early reviews, it’s one of Scottoline’s best books in recent years. Keep an open eye out for my review of the book in the coming weeks. And, if you haven’t already read it, you can check out my interview with Lisa Scottoline here. New York Times bestselling and Edgar Award winning author Lisa Scottoline is loved by millions of readers for her suspenseful novels about family and justice. Scottoline delivers once again with Keep Quiet, an emotionally gripping and complex story about one man’s split-second decision to protect his son – and the devastating consequences that follow.Jake Buckman’s relationship with his sixteen-year-old son Ryan is not an easy one, so at the urging of his loving wife, Pam, Jake goes alone to pick up Ryan at their suburban movie theater. On the way home, Ryan asks to drive on a deserted road, and Jake sees it as a chance to make a connection. However, what starts as a father-son bonding opportunity instantly turns into a nightmare. Tragedy strikes, and with Ryan’s entire future hanging in the balance, Jake is forced to make a split-second decision that plunges them both into a world of guilt and lies. Without ever meaning to, Jake and Ryan find themselves living under the crushing weight of their secret, which threatens to tear their family to shreds and ruin them all. Powerful and dramatic, Keep Quiet will have readers and book clubs debating what it means to be a parent and how far you can, and should, go to protect those you love. 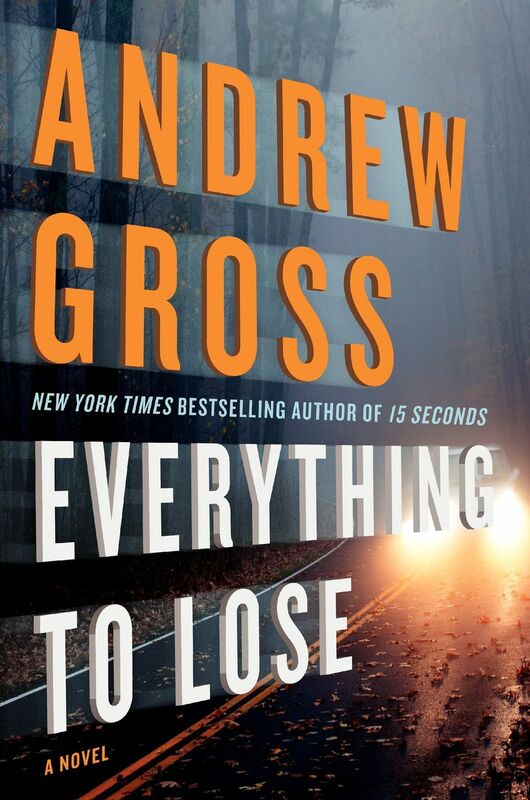 Everything to Lose by Andrew Gross comes out on April 22. Another one of my favorite authors is Andrew Gross, who I also interviewed last year. You can check it out here. He has a new novel coming out tomorrow entitled Everything to Lose. I’m reading it right now and will be reviewing it soon. I’m happy to report that it’s very entertaining and, in my opinion, better than his previous book, No Way Back. I highly recommend you order a copy of Everything to Lose and give it a shot. I think you’ll be pleasantly surprised. You can buy the book here. 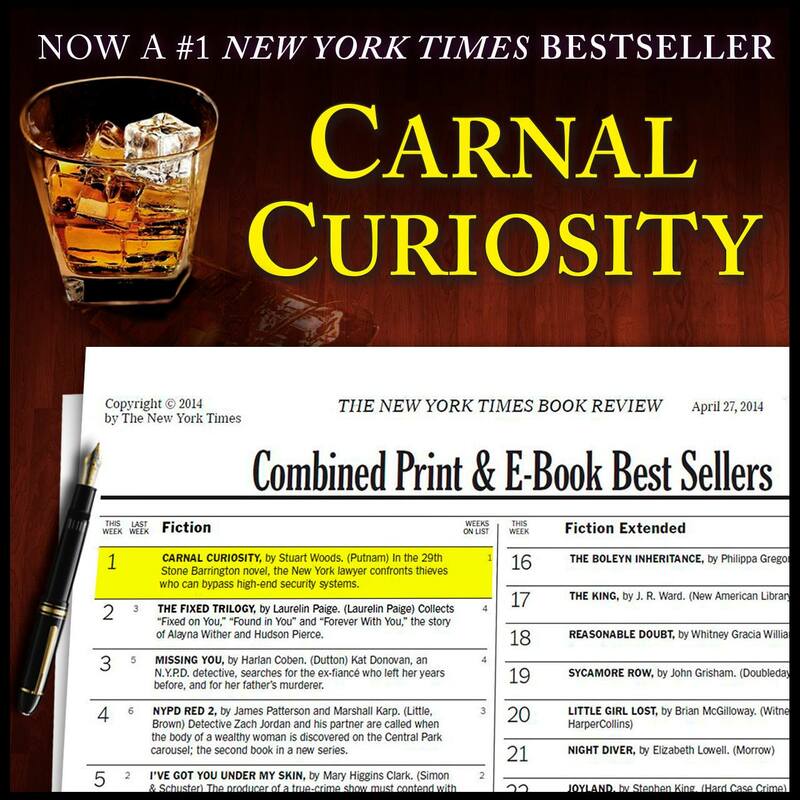 Carnal Curiosity by Stuart Woods debuted at #1 on The New York Times Best Sellers list. My first interview of the year was with the legendary thriller writer Stuart Woods, famous for his Stone Barrington series that has been going strong for decades. The newest installment in the series, Carnal Curiosity, just debuted at #1 on The New York Times Best Sellers list. Once I’m done Lisa Scottoline’s Keep Quiet, this one’s next, so stay tuned for my review. Based on how enjoyable Woods’ recent novels have been, I also recommend you pick up a copy of Carnal Curiosity. Stone Barrington seems to have a knack for being in the wrong place at the wrong time. When Manhattan’s elite are beset by a series of clever crimes—and Stone is a material witness—he and his former partner Dino Bacchetti find themselves drawn into the world of high-end security and fraud, where insider knowledge and access are limited to a privileged few, and the wealthy are made vulnerable by the very systems meant to keep them safe. As Stone and Dino delve deeper into their investigation, they learn that the mastermind behind the incidents may have some intimate ties to Stone . . . and that the biggest heist is still to come. 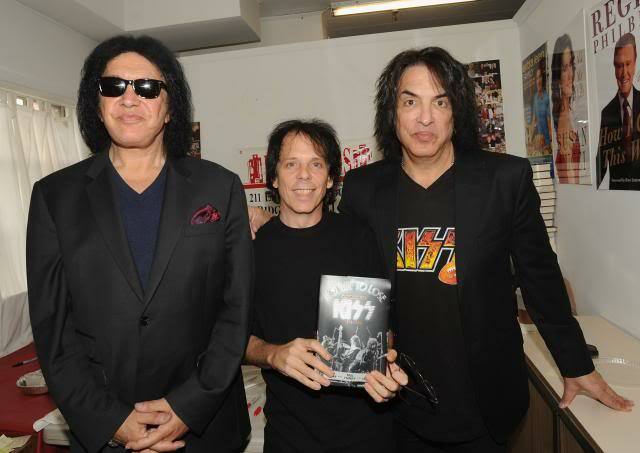 Gene Simmons, Ken Sharp and Paul Stanley. I met Ken Sharp, the New York Times best-selling music biographer, on KISS Kruise III and I recently finished his latest book: Nothing’ to Lose: The Making of KISS (1972-1975). It was fantastic and easily the most in-depth biography I’ve ever read. If you’re a KISS fan, a lover of pop culture or just someone who’s interested in fascinating origin stories, I highly recommend you read the book. Below is my interview with Ken. We discuss Nothin’ to Lose, his love for KISS and we even talk about how John Waite brought us together, among other interesting topics. It’s a great interview and I hope you enjoy it. How did you get into KISS? What’s your first memory of becoming a fan? There was a neighbor down the street and he played guitar. 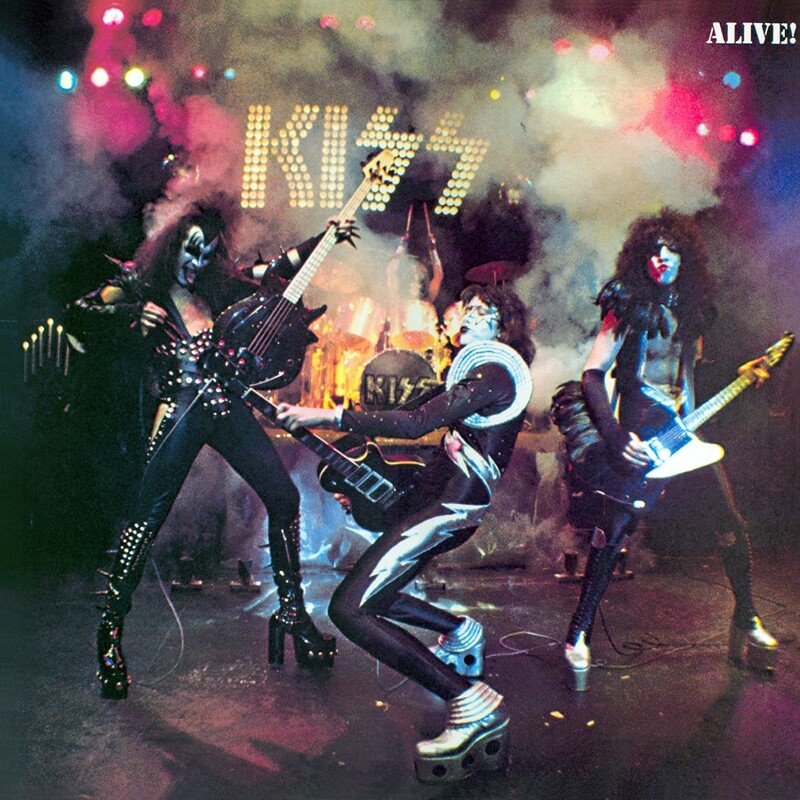 I remember being at his house one day and he put on this record, which was KISS Alive! I believe it had just come out and he was showing me the cover and playing it. And I was blown away by the aggression and the melodic hooks and the fact that he was playing his electric guitar along with it. I think it was the whole package that inspired me, not only to become a KISS fan but also to start playing guitar. So, it was definitely a good introduction to the band and to the world of playing guitar. 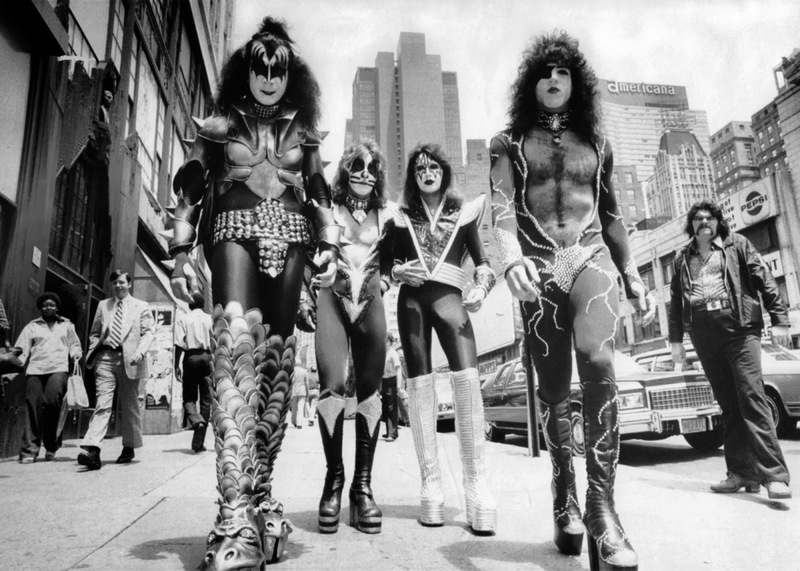 When did you first meet KISS? The first time I met them was in December of ’76. I was backstage at a show on the Rock and Roll Over tour at the Spectrum in Philadelphia – I have a poster that was signed by them, it was amazing. My mom was the first woman professional boxing judge in the world so she had contacts at the Spectrum and I begged her to call someone there to see if she knew someone that could introduce me to the band. She was able to coerce someone that she knew. She put me on the subway. I went to the show myself and I met someone around four in the afternoon and they brought me backstage, and I basically just waited in the backstage area till the band came. Not only did I meet them, I got to watch them do the soundcheck without makeup – this is all completely true. And I got them to sign autographs. I didn’t get pictures and I kind of regret that, but obviously they were without makeup so that wasn’t gonna’ happen. I met Bill Aucoin that night, and I befriended Carol Kaye who was a publicist for KISS in the ’70s. She worked at a place called Press Office in New York, and she invited me up one day to visit her and the day I went to see her Paul came into the office. So I met with Paul and got autographs, and another time when I came back in the ’70s I met Gene. I got to hang out with him, so that was a pretty amazing experience. I was young and impressionable so it really blew my mind. I first interviewed them, probably, in the early ’80s. But in terms of meeting them, I met them in ’76. I was mainly interviewing a lot of people that worked with them. Gene found out about that and he and Paul made themselves available. It was something that came together because of that – because of my idea of, hey, let me start interviewing as many people that worked with them. Whether it was Vinnie Poncia, who produced Dynasty and Unmasked or people that worked on the road crew and things like that, and it started there. In addition to writing about KISS, you have books about John Lennon and Elvis. How did you get involved in the music business and in writing? It’s interesting. I went to Temple University and got a degree in Communications and I got a chance to work as an intern at a local Philly radio station called WYSP. And from there I befriended people at the station and the music director, Mark DiDia. He was a really good guy, and later turned out to be a really powerful guy in the business who worked with Capital Records and Geffen in real high-up positions and now he’s working in management. I was part of the hard rock show called the Metal Shop and I played a character on there called “Killer Ken” (laughs). And I wasn’t much of a killer but we had to take on these roles and I was about to do some interviews for that show and Mark DiDia really didn’t like doing interviews. He knew I was passionate about music so he had me interview people like Glen Tilbrook or Ozzy Osbourne or Bob Geldof, when Live Aid happened. I interviewed Yoko Ono over the phone. So, that basically started it up. I also started contributing articles to the music magazine Goldmine, and from there it kind of took off and has since resulted in me working on a lot of book projects. Obviously, my latest book being Nothin’ to Lose, but beyond KISS I’ve done books on everyone from John Lennon to Elvis to Cheap Trick to the Raspberries, people like that. That’s kind of how that fired my interest. Speaking of Nothin’ to Lose, how did it come to be? Well, I’ve always been really fascinated with the beginning of things with artists. I’m a huge Beatles and Elvis fan – they’re actually my favorite artists – and I’ve always been really fascinated with Elvis’ early days. He was signed to a local label called Sun Records and played all the juke joints down south, and I was always really fascinated with those formative years. And the same thing with the Beatles – when they played Hamburg or were starting out in Liverpool, and I thought the same thing about KISS. I thought, wow, there’s never really been a book that’s really gone into great depth about that and let me see if I can do it. I started putting together some new interviews and things like that, and tracking down some people. I put 25,000 words together and I sent it to Gene with my proposal. He thought it was a good idea and it took off from there. How was it working with Gene and Paul for this book? Did they give you complete creative control or did you have to get their approval on the final manuscript since they were listed as co-authors? Yeah, they were absolute princes about everything. Initially I was made a little worried that perhaps there’d be a lot of censorship but there was absolutely nothing like that. They wanted the story to be told, and they wanted it to be told not just with their voices but with the voices of the rest of the band, as well as all the different people that worked with them, whether it was producers, record company executives, publicists, concert promoters, costume designers, journalists, or engineers. It’s a wide swath of people that are telling their story and I think that’s what makes it unique and different. A lot of people know the story and I can’t reinvent what happened to them but what I can do is re-contextualize it and present it in a manner that creates a much larger tapestry so people can get a greater understanding of what happened. And there are even things that happened to the band in their career that they weren’t privy to. They weren’t there for every event that happened and there were things that happened, business-wise or with concert promoters, that they weren’t privy to, and them reading about it in the book was an eye opener. They were absolutely complete gentlemen and certainty made themselves available all the time for interviews and things like that, and they really let me take the lead to shape what I was able to accomplish. This is the most detailed KISS book I’ve ever read, and perhaps the most detailed music book I’ve ever read. Yeah, some reviews said, “I’m surprised he didn’t interview the custodian at Electric Lady” (laughs). The reason why is because I couldn’t track him down. I’m just joking. I certaintly could have stopped a lot earlier (laughs). I interviewed over 200 people for the book. I could have stopped after 75 people, but it’s kind of like when you’re working on a song, you kind of know when you’re done. It was at that point that I felt like I’d exhausted people from that era. But there’s always going to be people that pop out of the woodwork after a project is done. There have been a few people that popped up since I worked on the project but overall I think I did a pretty admirable job of digging up plenty of people from that time period to present the most complete portrait of the band. It was satisfying to track down all of these people. I almost had to be a detective in a way. From start to finish, how long did it take to complete Nothin’ to Lose? Probably about four years, I would say. Yeah, it was a lot of work, and people have asked me in interviews or otherwise, “So, you’re obviously starting on the follow-up?” That’s actually not true. I thought about it, but to throw myself back into that and shut out the world for a few years at a time to do that, I’m not sure I’m ready to do that. But I’m working on other projects that are not KISS-related. But it was a really time-consuming and exhausting project, and I feel really satisfied with the results. 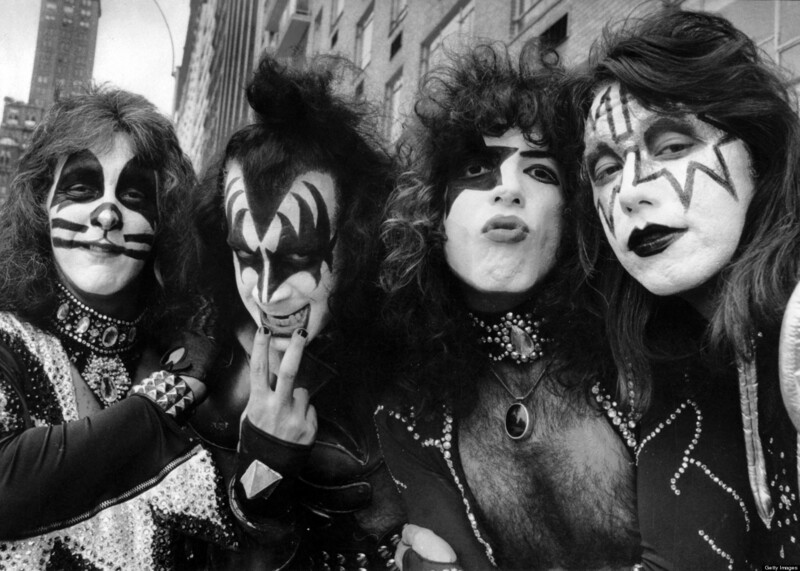 Nothin’ to Lose is filled with comments from nearly every person that came into contact with the KISS during this era. Some of this content is pulled from previous interviews and articles but a good portion of it was gathered first-hand by you. How did you go about speaking with so many musicians, producers, and everyone in between, about KISS? Having been a part of the music business since the early ’80s and dealing with publicists, I did what I had to do to track down people, and one person would lead to another. It certainly wasn’t a case of someone presenting me with a list of 200 people to talk to. It was a really a case of being a detective and tracking down people, especially people outside of the norm. It really required a lot of legwork and a lot of hours of endless digging through a variety of sources to track people down and gain a lot of confidences. There were people that may have been not initially wanting to talk or not interested, and I had to persuade them that this wasn’t a hatchet job the band was doing – it was really me trying to capture the essence of what the band was doing at that time as best as I could. I would say 90% of the interviews in the book were done first-hand by me, and I pride myself on that. But there are a few instances where I had to tap into interviews from the past. Speaking of interviews, Ace and Peter’s thoughts are featured throughout the book. Are all of these comments from previous interviews or did you speak with them for this book? I went to both of them requesting interviews and they were both working on their own book projects, so it’s understandable why they couldn’t participate. But I wanted to give them as much of a voice as I could. I interviewed them before – quite a few times – and they’re a part of it. Their input is not as great as Paul and Gene’s but they’re certainly not ignored. What’s interesting to me is before the book came out people saw that Gene and Paul’s names were on it and they thought it was going to be a complete bashfest of Ace and Peter. But that was completely not the case. This was a much more positive story because this was a period of time when everyone was getting along and they were aligned with the same ambition. If I jump into doing a part two, the next period, where the band broke through – from ’76 to ’79 – that was a pretty difficult period for the guys in the band. While they achieved huge heights of success, the excess and divisions started to form. The problems with Ace and Peter, with drinking and drugs, came to the fore. So, while a book about that era would be interesting, it would be a bit more depressing than the era that I covered. How did it feel to become a New York Times best-selling author with Nothin’ to Lose? That was an amazing feeling. It’s kind of a like a one-hit wonder breaking into the top 10. People can forget about them but they can always say they made the top 10. If it’s only one time for me, I’m fine with that. It was quite a surprise and certainly one that I celebrated. I’ve done over 15 books and I’ve never had one make the New York Times bestseller list, let alone in the top 10. So to break in at number nine was really, really satisfying. I certainly have to give Paul and Gene the major props for that because with them being kind enough to go out and do some book signings, I’m sure that certainly helped us. It was quite a surprise and definitely something that put a smile on my face. Knowing how long Nothin’ to Lose took to complete, if Gene and Paul came to you asking for a second book would you be open to it? Yeah, possibly. But it was so much work, and I’m the world’s worst typist. I type with two fingers. So, you can imagine, to transcribe interviews – that in itself is torture. An interview that is an hour could take me five or six hours to transcribe (laughs). And by the time I’m done, my fingers are numb. Just that amount of work was difficult. If I could have someone transcribe my interviews then I could begin work on the narrative, and that would certainly make things easier. But still, it would require such a huge amount of work. I’m shocked I was able to pull this book off because I was still working a full-time job at that time. I really did work hard to track down as many photos as I could that were previously unseen or rare. I really wanted to make every image count as best as I could in the book, and that was also a difficult proposition working with ’73 to ’75 because it’s an era that’s less documented than ’76 onward, obviously, as the band became more popular. So that was a great challenge, but I’m real pleased with the images in the book and there’s an additional 22 images in the e-book version. You also wrote KISS: Behind the Mask and KISS Army Worldwide: The Ultimate Fanzine Phenomenon with Gene and Paul. Do you have a favorite among the three? Not because it’s the newest book, but I think I would say Nothin’ to Lose because I think it hangs together really well. I love that period of time of KISS’ career. It was for me, from a selfish point of view, a way to live vicariously through those times by doing this book. In a way, the book was for me as much as it was for other KISS fans. 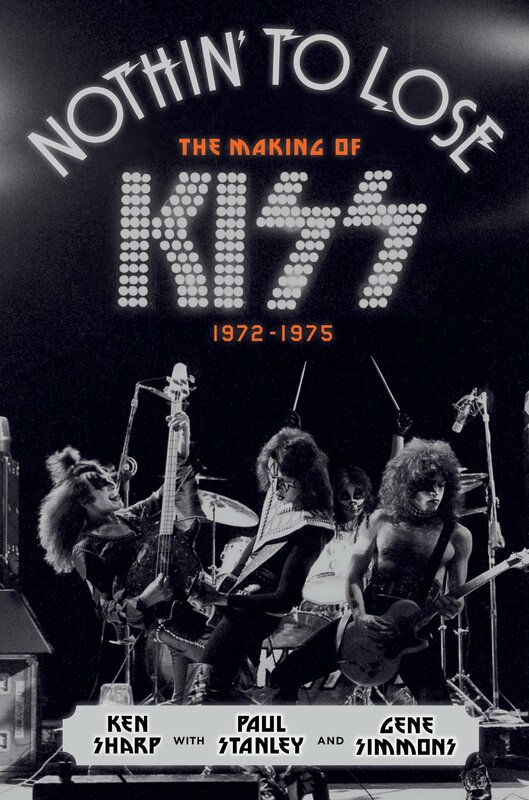 I would definitely say that Nothin’ to Lose, by far, is my favorite book out of all the KISS projects. When you and I met on KISS Kruise III, you were wearing a Babys t-shirt and we chatted briefly about John Waite, a fantastic musician and vocalist. (laughs) Yeah, I love that Babys shirt and I even wore it during my meet and greet photo with KISS (laughs). I’m a big fan of the Babys and John Waite, who I recently interviewed for a Goldmine cover story. 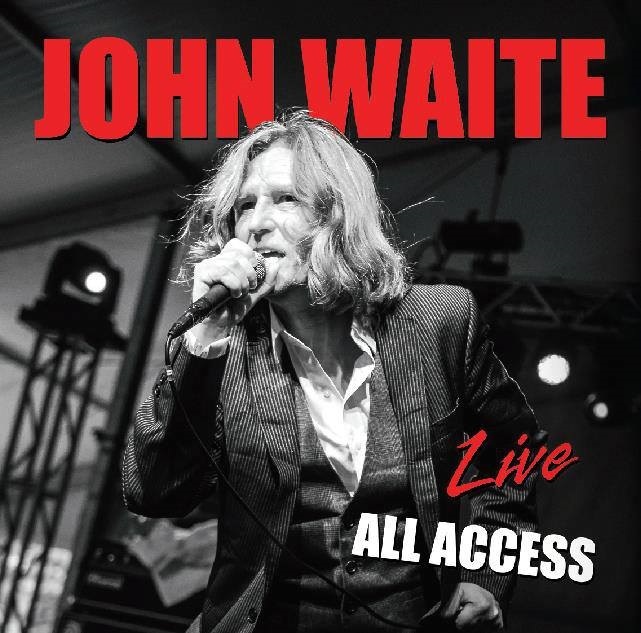 Speaking of John Waite, I saw a couple videos online of you jamming with his band on guitar last fall. How did that come about what was it like being on stage? Talk about an amazing moment. I got to play three songs with him at a private show in the valley in California. And I got to play two Babys songs with him – “Midnight Rendezvous” and “Head First.” Then we ended with a cover of “Money,” which was a song the Beatles used to do and, actually, the Babys covered it. I came up with the idea of doing that. When we were doing the soundcheck I started playing that riff and John just started singing along and we ran through it, and I didn’t think anything else of it. Then, later that day, I saw the set list and saw that they added “Money” as the encore. My god, I saw the Babys only once in 1980 and it was, probably, one of my top three concerts of all time – them at the Tower Theater in Philly for the Union Jacks tour. It was such a spectacular show. And for me to be able to be on the same stage, even for just a small period of time, playing guitar on classic Babys songs with John Waite – one of my musical heroes – was certainly a mind-blower (laughs). I’m not sure I’m worthy of it, but it was great. What’s your connection with John and how did you two meet? The first time I met him was in 1982 for his first solo album Ignition, and I met him at the location where I’d later work as an intern: WYSP. It’s really interesting how that all ties together. I found out that he was doing an interview that day and he was opening a show at the Tower – that was his first solo tour – for 38 Special. I had front-row tickets and went with a friend, and we waited in the lobby of the radio station. Eventually the elevator opened and there was John Waite with a guy from Chrysalis Records and he couldn’t be nicer. We took a bunch of photos with him, and that was the first time I met him. The first time I interviewed him was probably two years later. Do you have any upcoming projects you’d like fans to be aware of? I’m finishing up a book on 60 session players in LA known as The Wrecking Crew. They played on all the popular records from the ’60s, everything from “Good Vibrations” to “Be My Baby” to “I Think I Love You.” It’s an oral history about that whole music explosion in LA and Brian Wilson of The Beach Boys did the forward, and Glen Campbell, who’s part of The Wrecking Crew, did the afterward. It’s a really cool book with a ton of color photos throughout. It’s probably the most visually appealing project I’ve done. I’m working on that and I have a few other ideas in mind. James Patterson is arguably America’s most popular author. He’s sold 260 million books worldwide and holds the record for most hardcover fiction titles to appear on The New York Times Bestseller list: 76. Needless to say, he’s everywhere – even my shore house. During my trip to Ocean City last week, I found a copy of Now You See Her in the living room. This title caught my eye last summer when it was first released, so I was determined to finish it before coming back to Philadelphia. Like many of Patterson’s books, it was a gripping adventure filled with unpredictable twists and turns. Similar to his previous works, Now You See Her started off with a bang and didn’t let go until the last page. It moved at a break-neck pace and featured over-the-top action. Moreover, the characters were believable and the villains’ dialogue was delicious. While Patterson’s prose would never be confused with Stephen King’s, if you suspend your disbelief and give Now You See Her a shot, I think you’ll be pleasantly surprised.